For a little more than a century, Renewal by Andersen® has been producing the highest quality windows and doors available in the U.S. By constantly striving to improve their products, using advanced materials and manufacturing techniques to do so, Renewal by Andersen® sets itself atop the list of our nation’s window and door manufacturers. And with a commitment to energy efficiency and environmental safety, they have become a leading advocated for more responsible manufacturing practices in our industry. Part of this environmental responsibility is the use of Fibrex®, a material that no other manufacturer uses to build windows. Fibrex® material combines the strength and durability of wood with the maintenance ease of vinyl. It also offers builders the comfort of choosing a sustainable, green building material. It is a composition of wood fiber and thermoplastic polymer, and a large portion of both is recycled right from our own manufacturing process. The energy efficient properties of Renewal® windows and doors are an important part of why Renewal by Andersen® is the leading choice for windows and doors in the U.S. Another important part is their ability to back every product they produce with an industry-leading warranty. They are so confident in the materials that they produce, that they offer warranties that are deeper than any other manufacturer in the country. And companies like Renewal by Andersen® of Greater Philadelphia, who are fully certified by Renewal by Andersen® to install replacement windows in Havertown and Philadelphia, are able to pass those warranties on to our local homeowners. It is the homeowners and their desires for more beautiful, comfortable, affordable homes that drives Renewal by Andersen® to constantly improve their products. And for Renewal by Andersen® of Greater Philadelphia, those desires are the reason we chose to represent such a quality company. 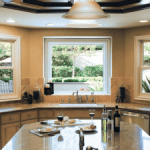 Call us today at 610-563-2190 to schedule a free window or door consultation for Philadelphia, Ardmore, Camden, Chester, or Havertown area home improvement solutions from a window company you can trust!